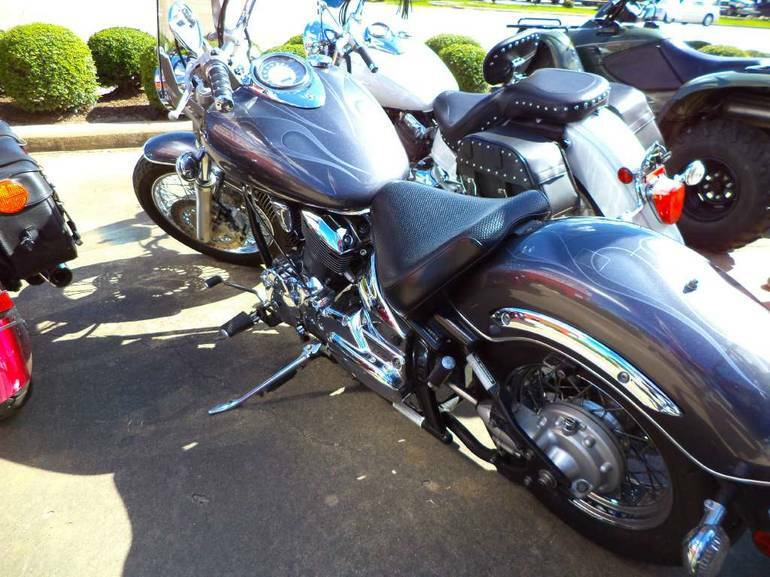 2005 Yamaha V Star 1100 Custom, Very clean bike, and runs perfect. 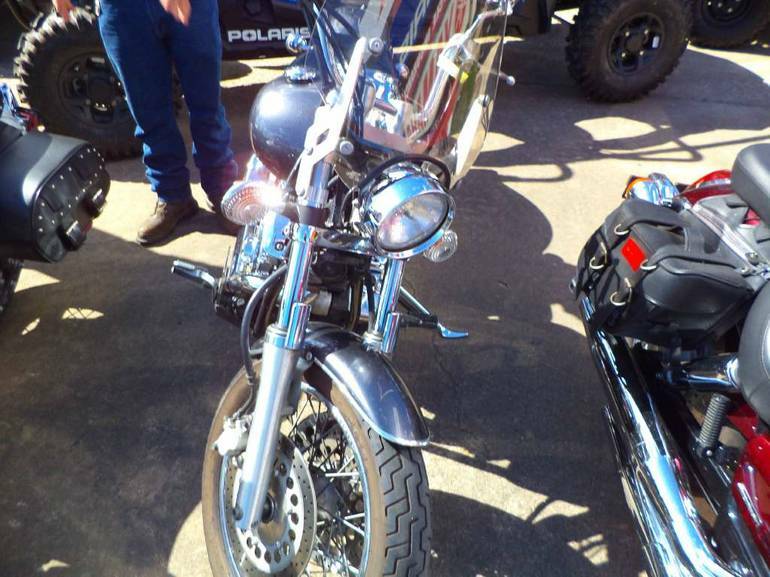 - The V Star 1100 Custom has the performance, fit and finish the Star Family is famous for, with classic chopper styling and a price tag closer to most bikes half its size. 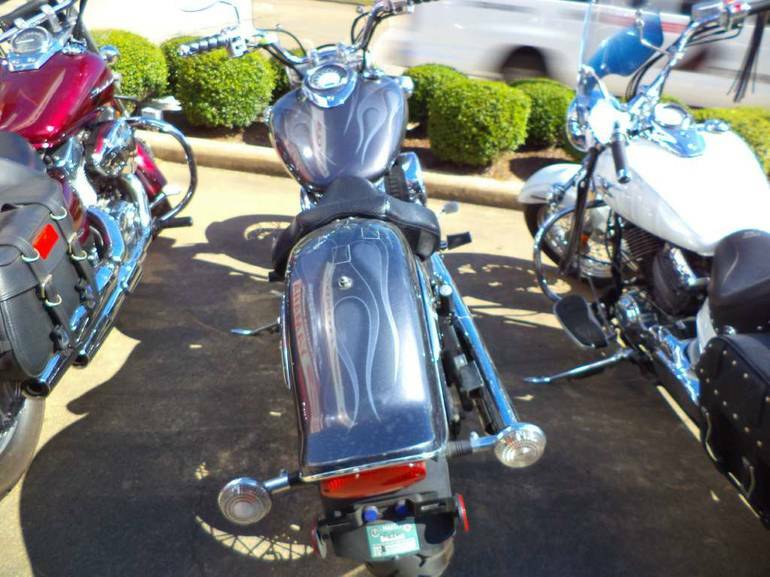 Its burly, air-cooled, 65-cubic-inch V-twin pumps out big, fat chunks of low-end torque. Drop in a smooth-shifting 5-speed transmission and low-maintenance shaft drive . And then spoon it all into a long, 64.5" wheelbase strung between wire-spoked wheels and drag-style handlebars. 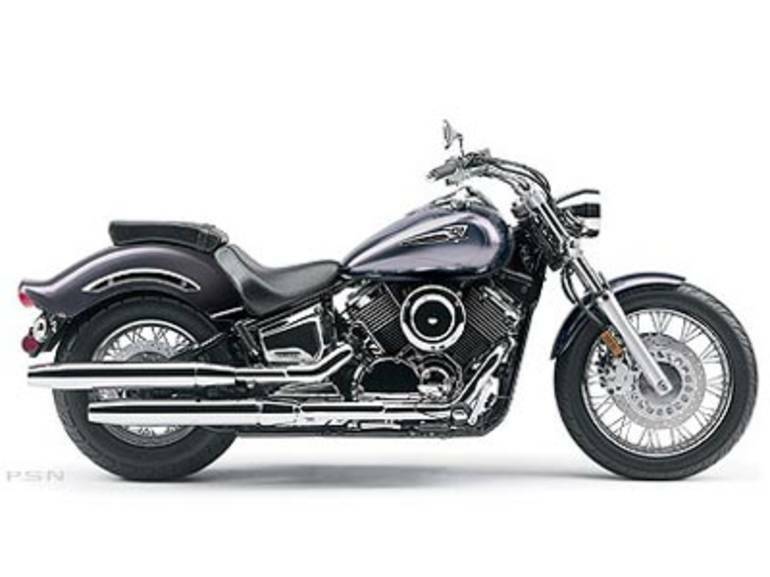 The V Star 1100 Custom comes all the chrome-plated, teardrop-tanked, low-riding, piston-pounding appeal of other V-twin mega-cruisers, but for literally thousands of dollars less. And for 2005 , you can own a Special Midnight Custom with black paint, distinctive trim and appointments throughout. New features include a stylish, new speedometer face and clear turn signal lenses . The timelessly beautiful V Star 1100 Custom V-twin. You just might have difficulty deciding which is more attractive: its styling or its price. 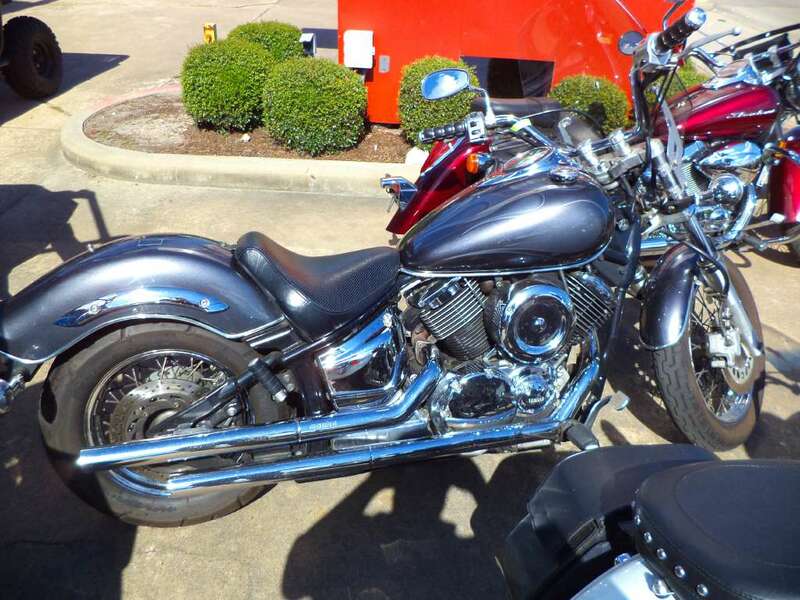 All Yamaha pictures are kind of Yamaha HD motorcycles picture was taken, including motor fuel gauge, engine, engine mounts, tires, fuel tank, the car handles, lights and so on, 2005 Yamaha V Star 1100 Custom full-screen viewing,2005 Yamaha Motorcycles today Price: $3,499 .